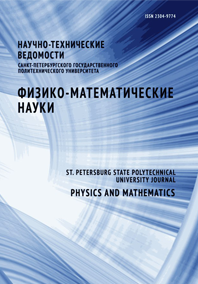 Karov Dmitry D. Puro Alfred E.
An approximate method has been proposed for tomographic reconstruction of the internal stresses distribution in the axisymmetrical phase structures with small stress gradient along a specimen axis. The internal stresses determination procedure in glass optical fiber preforms based on the integrated photoelasticity effect was generalized to the objects mentioned. The complete determination of the stress tensor was carried out in terms of the fictious temperature profile concept.